Just to the north of town a group of historic cannery buildings hover over the water on pilings. Among these buildings, owned by Copper River Seafoods, a community of some 30-odd people live in a 100-year-old bunkhouse. Open from April through September, the Fisherman’s Camp bunkhouse provides low-cost communal housing to a variety of individuals, ranging in age from 22 to 78, men and women, young and old with various occupations and nationalities. Room sizes vary. Most are around 8-by-10 feet, with a shared kitchen and dining room, living room, and bathrooms. Many tenants have paid to keep their room for secure storage in the winter and return every spring, year after year, to a place they call home. This winter those rooms will be left open and empty. Earlier in the summer, tenants received an official notice under their doors that this would be the last summer for the bunkhouse, due to concerns voiced by Copper River’s insurance company. Plans are to tear down the building and build a new, smaller bunkhouse across the street for loyal Copper River fishermen. Rodney Sproul, the manager, was unsure of a timeline for the project. “If it happens, we will know it happened,” he said. 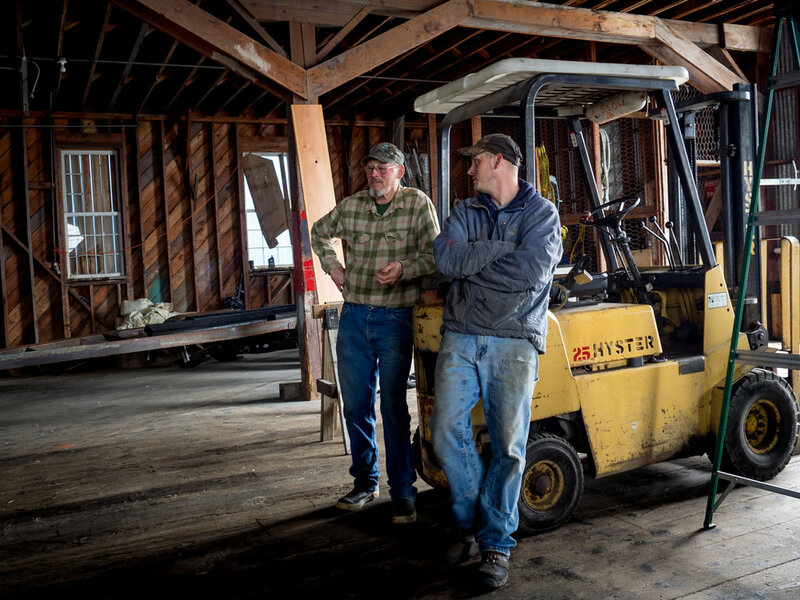 For many old-timers this is a big deal, not just because they are losing their home but because it marks the end in an era of bunkhouses for fishermen. Over time, people started buying their own boats and the canneries would offer you a room if you fished for them. When Rockwell started fishing in the late ’80s there were only a couple bunkhouses left. He started out at Orca, but soon moved to Fisherman’s Camp, which was owned and run by Olaf Gildnes. Gildnes ran things a little differently, and that is why it appealed to Rockwell. That was around 28 years ago and Rockwell has occupied the same small room every summer since. The bunkhouse was rented out to fishermen, net menders, net hangers, food service workers, a banker, marine surveyor and cannery worker. The interesting mix of people was appreciated by many occupants. For Carrel, the bunkhouse started out as nothing more than a practical housing solution. For Stack, the shared kitchen was where things really came together. Rockwell has lived at the bunkhouse for a different reason. Although many are sad to see the place go, the end of the bunkhouse doesn’t come as a surprise. Rockwell agreed, but wishes he could stay. Future lodgings for most of those who live at the bunkhouse is uncertain. While many of them are fishermen, and have the option of living in the harbor, most are hoping that something else will come through for them. As the end draws near, one by one residents move on. Each dinner lingers into the night as people share stories of times past, and people who have come and gone from this place. Brad Evans doesn’t share that sentiment. “It’s not sad this place is going away, it’s a blessing in disguise!” said Evans, long time Cordova fisherman who spends winters in the Pacific Northwest with his grandchildren.